Construction of one borehole for Nazareth Nursery School aiming at providing clean and safe water to 100 children, 740 of Matogoro primary school, 460 students of Mazoezi secondary school, 1200 teachers College students and 300 community around school. Nazareth nursery school is among Songea municipal educational institutions facing a critical water problem. the school has three sources of water at the moment which includes local water dug well, river and tape water. though there is tape water, is not reliable due to the fact that during dry season from July to December there happens cut off of water tape by the authority due to insufficeint water in the source, a situation which faces the water authority to arrange a timetable whereby the school gets tape water once or twice per week. the only remaining option is the use of local dug water well and river nearby the school. However, local dug well and river water is not safe at all since the same sources are used for washing clothes and bathing within, it is a common practice that often leaves many wells contaminated. Also, the wells are exposed, affording animals the opportunity to pollute the water. 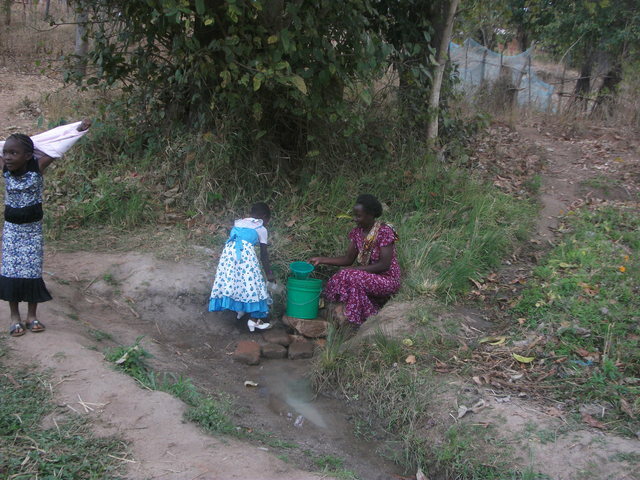 The washing of soiled clothes and bathing, along with exposure to animals clearly compromises the effectiveness of these wells as safe sources of drinking water. 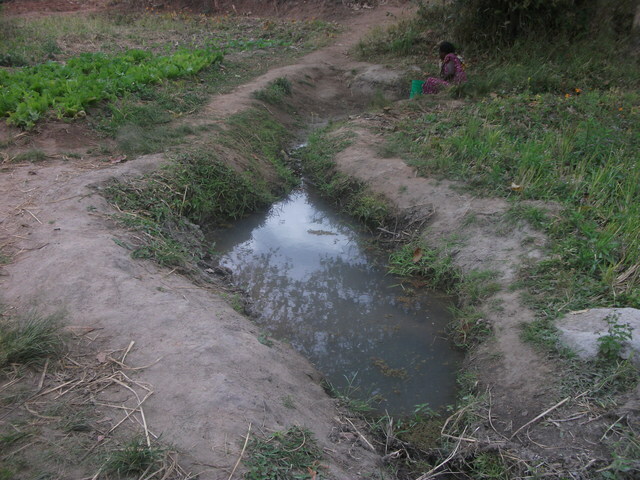 This problem is further compounded in the rainy season by soil run off that can swamp some of the wells in dirt and soil. This renders the effected wells completely unusable. 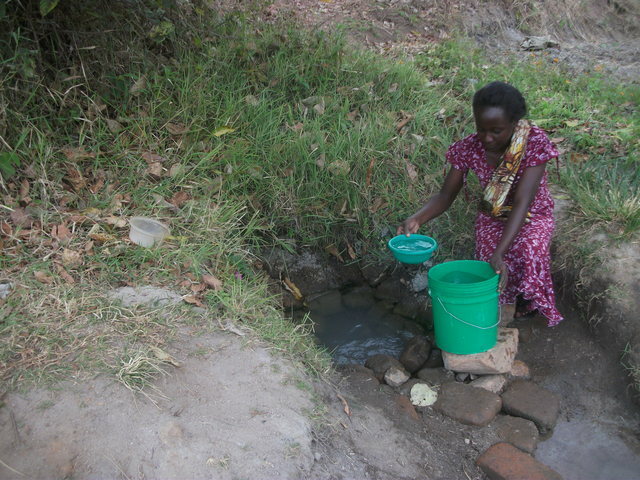 Use of these wells for drinking water, which is often not boiled (due to the luck cheaply available fuels) , has led to occurrence of the water borne diseases like diarrhea, intestinal parasite (such as worms), and bilharzias. Water hand pump are complete water schemes suitable for serving small communities with portable water supplies. Nursery Schools, teachers College, Primary schools, secondary schools, dispensaries, etc, which are covered by other water supplies because of various reasons may suitably be supplied with water from a hand pump. A water borehole carrying a water hand pump with a standard yield 800 liters per hour can meet water needs of people. A good water bore hole equipped with hand pump can supply over 1000 liters per hour of safe water to isolated communities and thus reduce mostly women’s and students work load in fetching water from long distances. This is good potential of portable ground water supplies in Songea district from existing water hand pump constructed in Songea Rural District and from existing surveys. Over 530 water pumps were constructed in villages and schools at shallow depth (with maximum depth of 35m). The depth of water table is ranging between 15 m to 25 m depth. There are both hygienic and convenient model to operate. SWN 80 and SWN 81 model pump set are locally manufactured in Tanzania. A pump set complete with 4”PVC casings Up to a depth of 35m cost slightly about $ 8,501.79due to inflation and raising of transportation costs. In hand pump construction we target a bore hole yields of not les than 800 liters per hour at shallow depths suitable to service our beneficiaries, presently most of sub – Urban secondary schools are not covered by other public water supplies, there fore, the project is going to provide 1 Hand pump for Nazareth Nursery school which will make a total of 10 bore holes and 74 improved water wells. In mobilizing the community PADI will conduct meeting to the school requested water support. During these meetings the community will be told on how the project will be conducted and other project condition which include community contribution, formation of water maintenance fund ( WMF) and Wells Monitoring Committees (WMC). The meetings will help to create awareness and readiness of participating in the project implementation. In this project the school communities are required to construct pump house as their contribution. Contract of receiving the support will only signed only if they agree to construct the pump house as soon as the pump has been installed. 3. Formation of Water Maintenance Fund (WMF) formed by the school community. 4. The fund will be contributed by the school communities which will support them to manage, to maintain and repair the pump. 5. Transportation of building material from Morogoro; this activity will be done soon after receiving fund, the Contractor will be responsible on this. 7. Construction of pump house: Construction of pump house will be done by the school communities as their contribution to the project. Construction will be done soon after completing pump installation. PADI has been implementing this kind of water project for more than 10 years, beginning in 2003. The first implementation of the project was done in Mletele ward at Liwumbu B street from June to August 2003, where (7) improved local wells were built funded by Peace Corps Tanzania supervised by Mr. Tim Hogan. The second implementation of the project took place from September to November 2003, where PADI received funds from professors Miller and Rulfs of the USA and constructed 4 improved local wells. The third project implementation took place from October 2005 to December 2005, funded by Help Age International, which enabled PADI to build 8 improved local water wells. 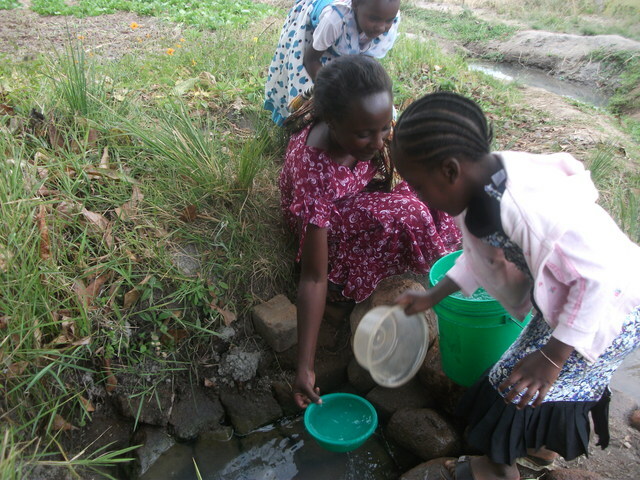 The fourth implementation took place from July – August 2007, funded by Run For Africa, the funding enabled to construct 13 improved traditional water wells and 1 bore hole. Lastly, 3 boreholes were constructed by 2010 to 2012 in two secondary schools and one orphanage centre. The project is now benefiting over 17,000 people. This is good potential of portable ground water supplies in Songea district from existing water hand pump constructed in Songea Rural District and from existing surveys. Over 530 water pumps were constructed in villages and schools at shallow depth (with maximum depth of 35m). The depth of water table is ranging between 15 m to 25 m depth. There are both hygienic and convenient model to operate. SWN 80 and SWN 81 model pump set are locally manufactured in Tanzania. A pump set complete with 4”PVC casings Up to a depth of 35m cost slightly about $ 8,501.79 due to inflation and raising of transportation costs. 2. Conducting regular meetings which will help to create awareness and readiness of participating in the project implementation and maintanance. 4. Formation of Water Maintenance Fund (WMF) formed by the school community which will ensure maintanance and repair of the hand pump. 5. Sensitizing the community to construction the pump house as their contribution. Contract of receiving the support will only be signed only they agree to construct the pump house as soon as the pump has been installed. Technical support in implementing the project will be provided by government officials, including water testing which will be conducted by water authority and sanitation training which will be conducted by health department. Local dug well and river water is not safe at all since the same sources are used for washing clothes and bathing within, it is a common practice that often leaves many wells contaminated. Also, the wells are exposed, affording animals the opportunity to pollute the water. The school community will be sensitized to establish Water Maintenance Fund (WMF) which will ensure regular availability of funds to ensure maintanance and repair of the hand pump. Formation of Wells Monitoring Committees (WMC) which consist of 10 people. The 10 people will be the school management committee and they will be responsible in hand pump maintenance and repair, day to day care of the pump and managing the WMF. This will be contributed by school community for construction of hand pump house and conducting sanitation and hand pump maintenance training which will involve 10 members of well maintenance committee responsile for maintenance and repair, day to day care of the pump and managing the WMF. I recently read this report from a study done in Kenya using the SWN pump. Have you found SWN pump is the best for this type of project or is it the only pump available in your area. Are there skilled repair individuals in the community? purchase a new pump if the community were provided with alternatives." One of the key factors in sustainability is the presence of women on the water committee because they are the ones carrying the water and using the pump. What is the gender content of the water committee? Thank you for your detailed description of the project and of your previous projects in the area. I was wondering who were the members of the Wells Monitoring Committees (WMCs). In your description you mention that it is 10 members of the school management committee - does this include teachers and parents, as well as school management staff? What type of project monitoring is done, i.e. what information is collected and when? I enjoyed reading your proposal. It is especially interesting to conduct a peer review of someone you know. I think fondly of the time we spent together in Samburu. It's hard to believe that it's already been two years! 1. How do you identify the schools/communities you work with? 2. Do you conduct hygiene & sanitation training? 3. Is the well drilling contractor located near to the school? Thank you Kristen, I remember the trip to Samburu. Is true is almost two years now I hope you still doing well.We thank God we are still doing well too.. The community water committee involve 5 women and 5men depending on nature of the community, it can be more women than men. In the proposal under "Financial" you mention that the budget is attached, but it is not. Could you attach the budget with itemized expenses? Could you supply the expected depth of the well and /or the cost per meter of drilling the well? How deep is the sanitary seal that the well driller will install in the well? Could you attach photos of completed wells in the area? Thank you Iskaka....The project and the financials, from my limited knowledge of bore hole water supply , looks good and is much needed to promote any type of hygiene education; prevent illness; and prevent long water carry times....Best of luck. A good project met with reasonable finances and proven process for sustainability. While Msigwa and team look like they will execute this project well, i am concerned because of the lack of data on their earlier projects. Would like to see how and how often are they being monitored for operations and issues are being addressed. Just a statement saying their earlier pumps are working is not good evidence. I went thru many of the old projects we funded from 2008-09 and none have any data of current operation. Some rigour post-implementation is needed. I am confident that Msigwa has the experience to carry out a very successful project.